WHY GO: Get into the spirits of it all! Plan a few days in Loudoun County VA to lap up some of the best wine, beer and whiskey in the land. Though this region just west of our Nation’s Capital is touted as “DC’s Wine Country” (with over 40 wineries), breweries and distilleries have been popping up as well. 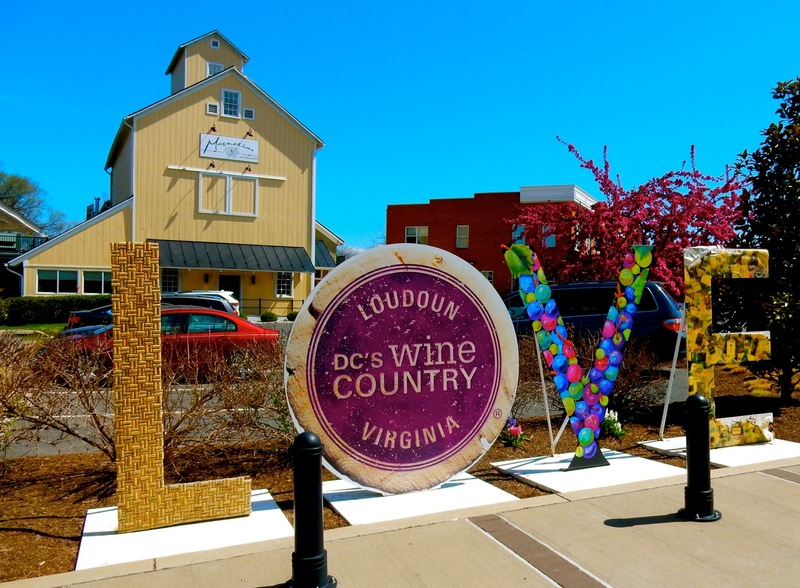 Encompassing the growing-hipper-by-the-day towns of Leesburg and Purcellville, historic sights, stunning wineries, avant-garde breweries, and engineer-serious distilleries, a trip to Loudoun County will keep you busy for several days. Add in a renovated-to-luxury Conference Center and you’ve got the recipe for a bone fide epicurean holiday. Cheers. 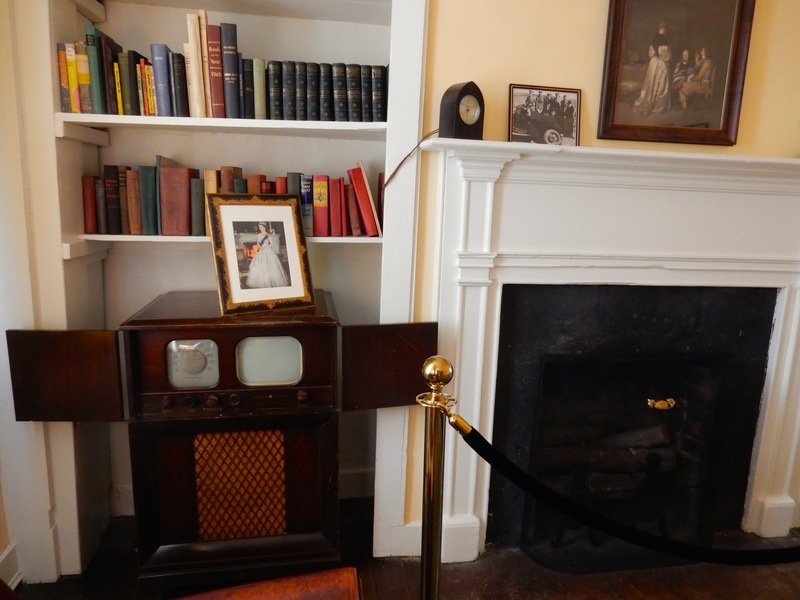 TOUR: Marshall House, Leesburg. General George Marshall served as Chief of Staff during WWII, Secretary of State and Secretary of Defense under President Truman, and is best recognized for the Plan that bears his name (and for which he was awarded the Nobel Peace Prize in 1953) – The Marshall Plan – also known as the European Recovery Program. 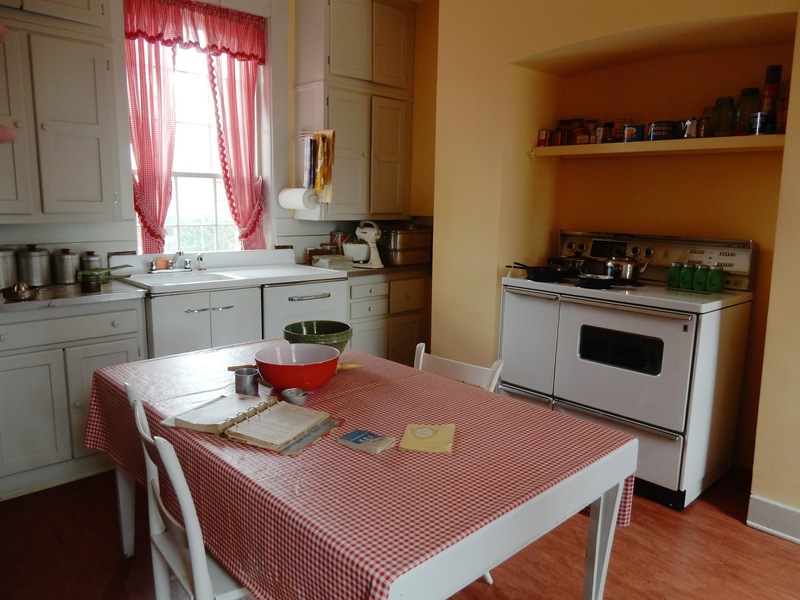 But this yellow farm home in the country was Marshall’s “getaway place,” and so a tour here will provide a glimpse of a highly regarded military man at ease. Ninety percent of the house and its furnishings are original, including a 40’s style red-and-white-checkered kitchen straight out of I Love Lucy, a comfortable living room and modest bedrooms. Despite its modesty, however, the home is stocked with priceless mementos: a replica of a painting from Winston Churchill hangs above the mantelpiece, a photo of Black Jack Pershing, who served as Best Man at Marshall’s second wedding, sits on a small parlor table, and a picture painted by Madame Chaing Kai-shek, good friend and frequent overnight guest, is prominently displayed in the living room. Marshall was avowedly non-partisan. When asked if he was a Democrat or Republican, he answered, “I’m an Episcopalian.” He was married twice. First to Lily Cole, who died of heart failure after 25 years, and then to Katherine Boyce Tupper, a former actress with three children, whose first husband, an attorney, had been tragically murdered. 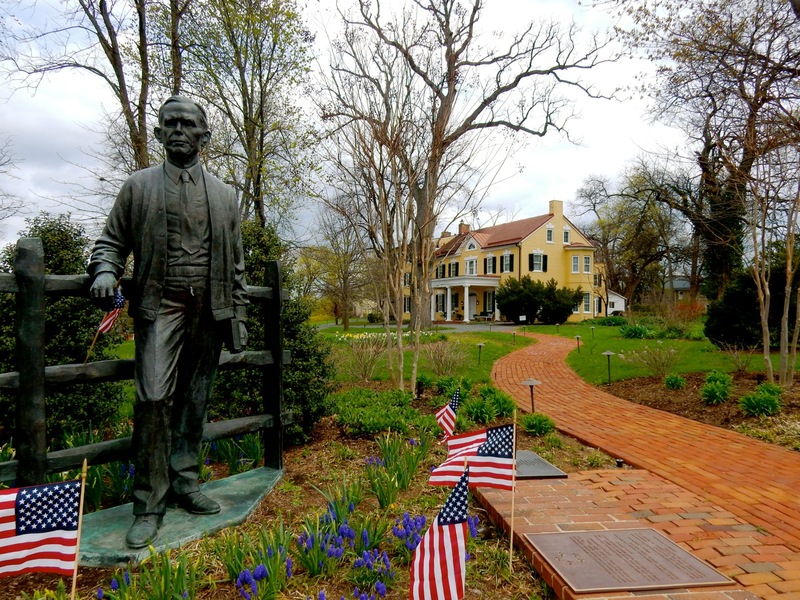 Though President Truman considered Marshall his “go-to guy,” you’ll discover more about the personal side of this highly decorated military man on this intimate tour. The man who played an integral part in Europe’s reconstruction loved watching Gunsmoke and I Love Lucy, and ordered seeds from Burpee to plant his beloved vegetable garden. 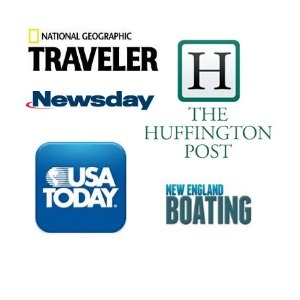 60-90 minute tours $10. Open Sat. 10-4, Sun 1-4, summer Mondays 1-4. 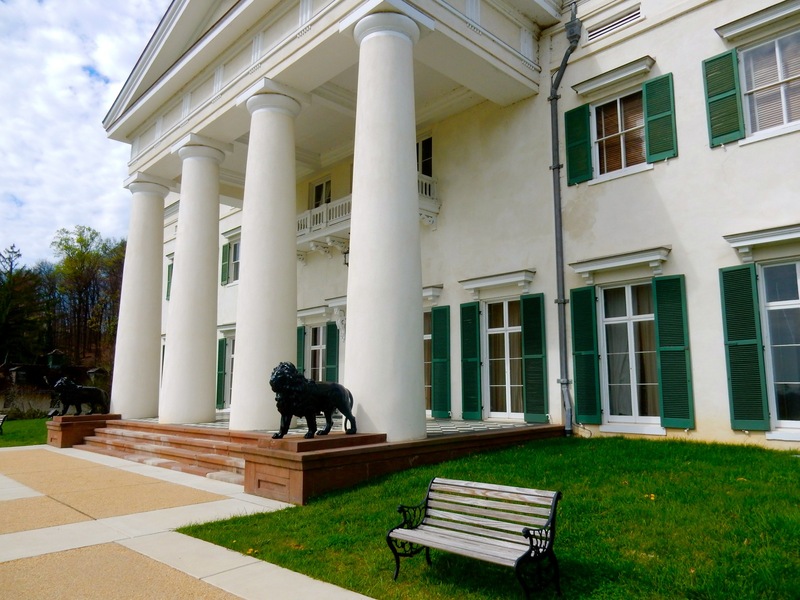 TOUR: Mansion and Museums of Morven Park, Leesburg. Commercial and residential development has reached a frenzied pace in Loudoun County – one of the fastest growing counties in the USA. The Metro is moving out here, and with it commuters and more businesses. Soon, say those who work here, the 1,000-acre (500 wooded) Morven Park might be Loudoun County’s Central Park – the only patch of green around. 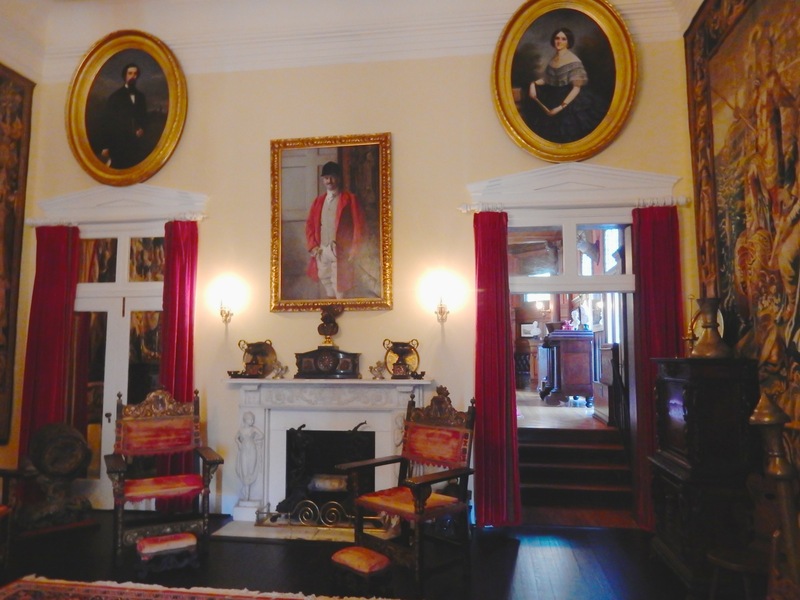 For now, though, come to Morven Park to tour its three museums – first, The Westmoreland David Mansion, which also serves, quite appropriately, as the Museum of Hounds and Hunting in North America. 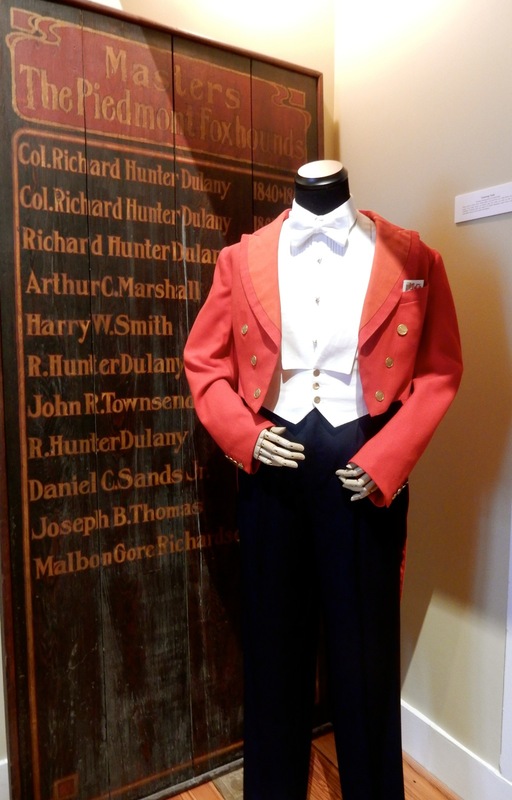 Displaying clothing, tack, saddles, and foxhunting memorabilia throughout several rooms, you can’t help but think “Downton Abby” as you peruse objects from this British tradition brought to America. 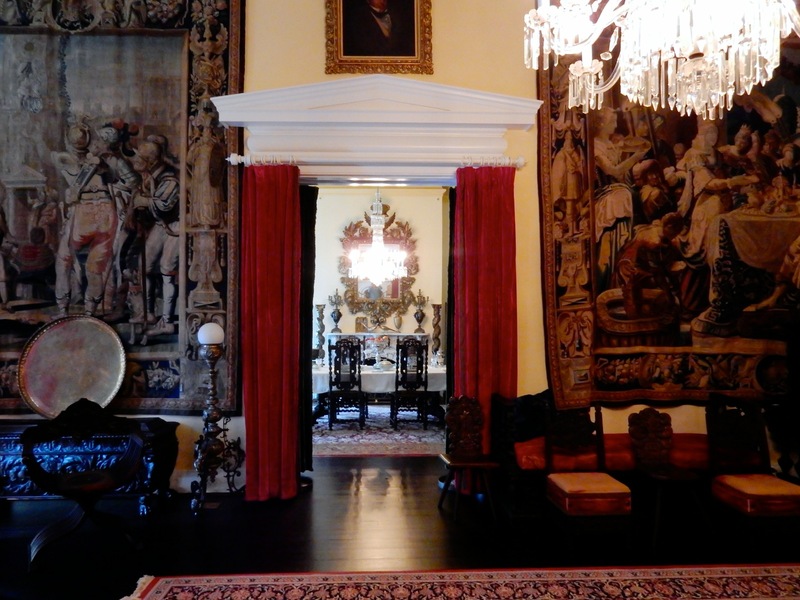 The 45-minute guided Mansion Tour brings you through dark but stunning rooms, heavy on drapery, “as if the Davis’s have just stepped out.” The tour focuses on Davis’s life rather than “stuff,” so guides point to the large portrait of the Governor in his red hunting coat, and a utilitarian waffle iron on the beautifully set dining room table – indicating that newfangled kitchen technology was something to be shown off, not hidden. Be sure to see the Winmill Carriage Collection, accumulated by Viola Winmill in the early 1900’s and donated to Morven Park in 1967. It’s located in a warehouse next to the mansion, built specifically for the incredible grouping of 40 fine carriages from all over the world. 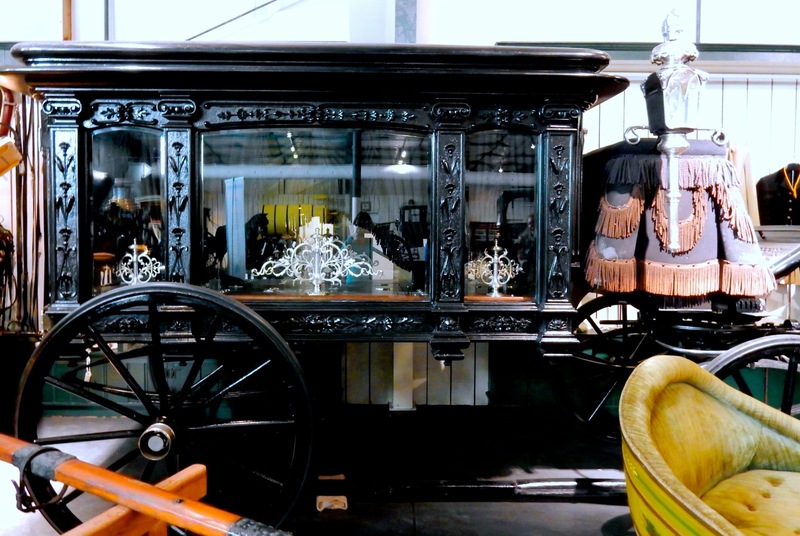 The collection includes one used by the famous Tom Thumb of Barnum and Baileys Circus, and the ornate hearse that carried Viola on her final, funereal, ride in 1975. 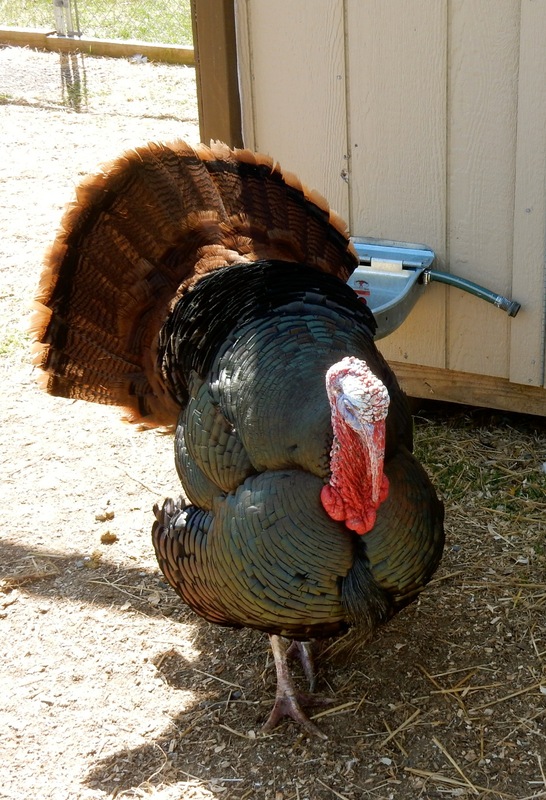 After examining the carriages, you’re invited to head uphill to the Presidentially Pardoned turkeys who have lived to cluck around another day. Open Sat/Sun 12-5 (last tour at 4), $10 adults, $5 kids, includes Mansion Tour and Carriage House tour. 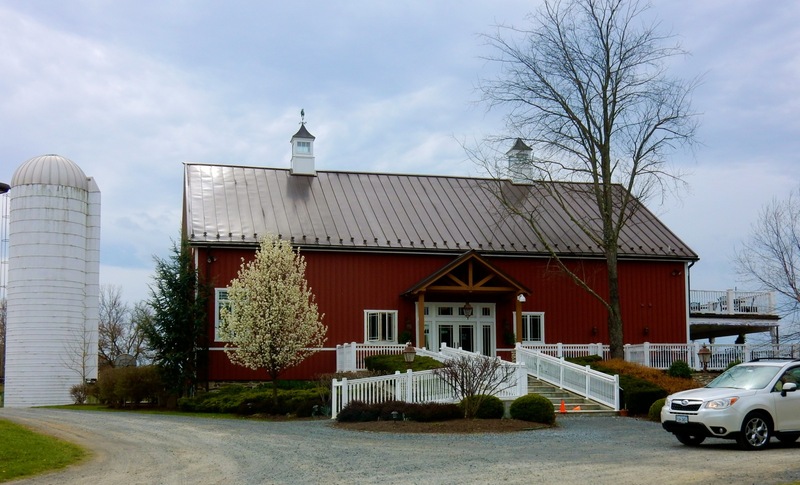 VISIT/TASTE: Sunset Hills Vineyard, Purcellville. 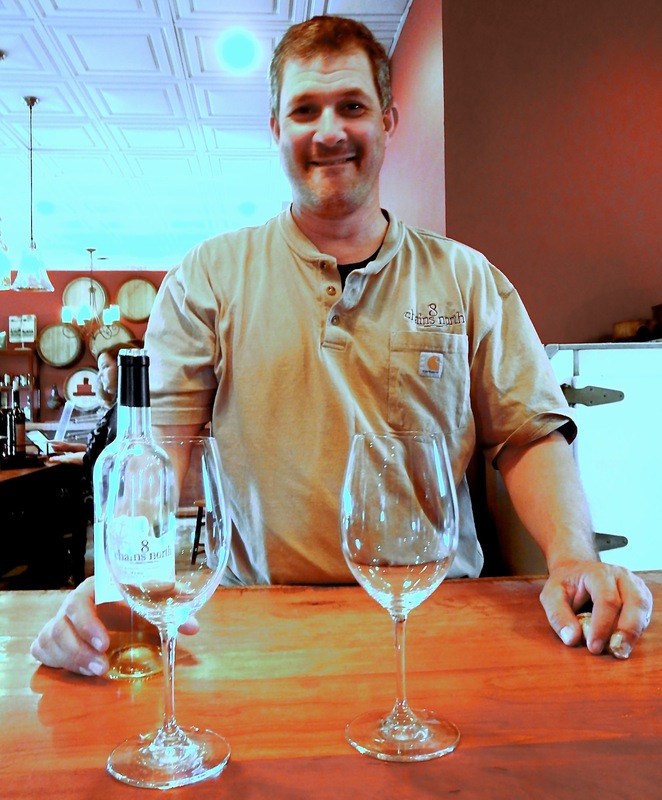 Mike Canney – physicist, computer guy, racecar driver – and his wife Diane, own this solar-powered vineyard, “turning sunshine into wine.” The tasting room and shop are situated in a German bank-barn constructed just after the Civil War. 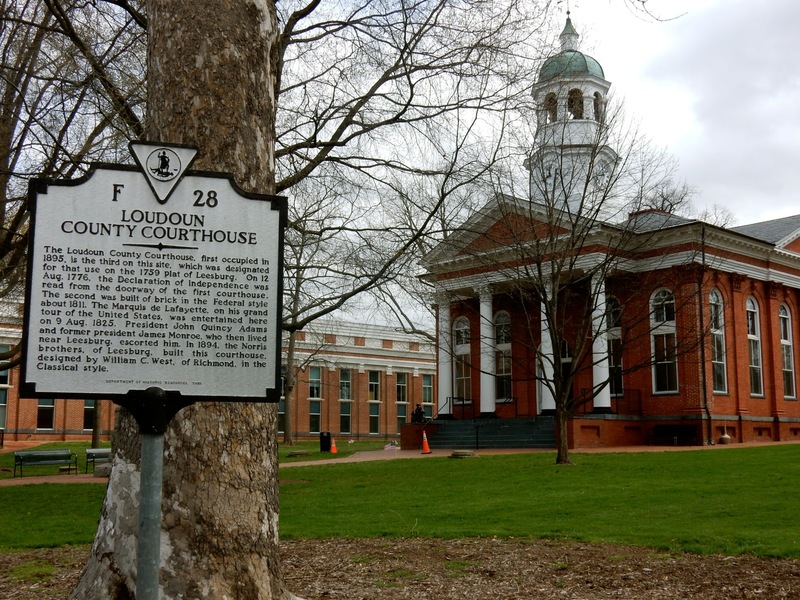 However, by the late 1990’s, the building was “structurally sound but visually ugly,” according to Mike. The Canney’s hired Amish carpenters to rescue and renovate the barn, which is now a burnished, soaring testament to the can-do spirit of post Civil War Reconstruction. Come in for a taste of Sunset Hills Chardonnay, an excellent grapefruit-crisp semi-dry white, a sip of Viognier – VA’s “State Grape” – a mild summer white with hint of sweetness, and a splash of Mosaic, a blend of the winery’s best reds. Mike loves nothing better than to “walk in a Chardonnay vineyard with a glass of Chard,” especially on a sunny autumn day. He, like most vineyard owners and managers in Loudoun County, feels a connection to the land and its history. “The great thing about Virginia vineyards is that you’ll see the owners walking around, and you can actually engage with them.” And, though it’s a lot of work, Mike has never looked back. “This should be a fun business. If you can’t have fun at a winery, something’s wrong.” Open Monday – Thursday: Noon – 5 pm, Friday: Noon – 6 pm Saturday – Sunday: 11am – 6 pm. STOP IN: The Barns @ Hamilton Station, Hamilton. 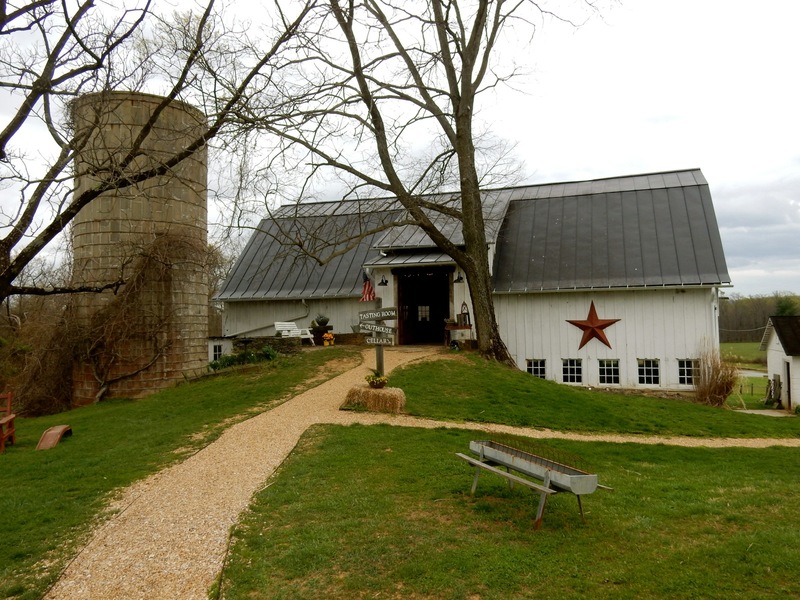 The tasting room is in the hayloft of this 106-year-old rustic dairy barn; tin roof above, distressed wood floor (peppered with license plates, nailed down to cover drafty holes) beneath your feet. Though labeled “The Barns” and you can taste them, wines are not made here. But plenty of marriages are. This is an increasingly popular spot for weddings, concerts and other events throughout the year. Outside, in a separate concrete block building, the “Man Cave,” accommodates guys (and gals) who wish to light up cigars (no open flames in the flammable barn). You can even purchase those stogies near the wine tasting bar. 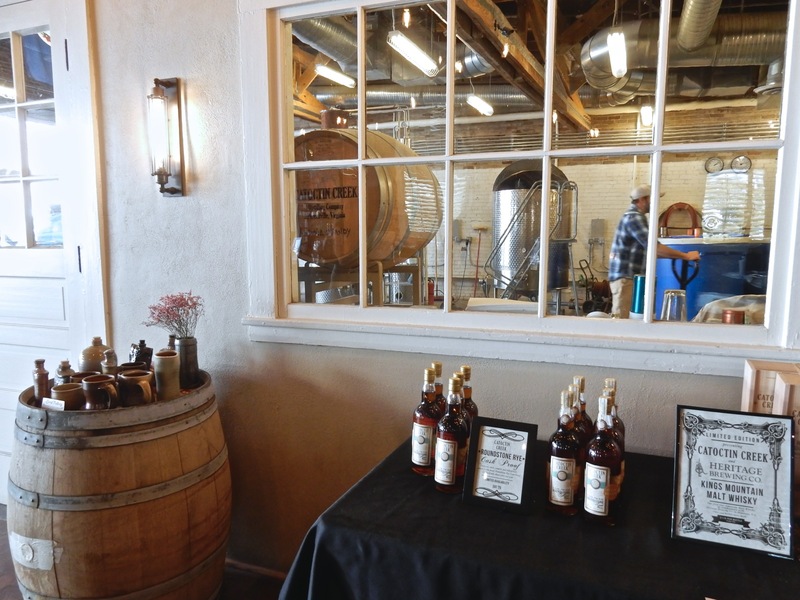 VISIT/TASTE: Catoctin Creek Distillery, Purcellville. Becky and Scott Harris, like many around here who turned to spirit-making, were engineers in their former work-lives. 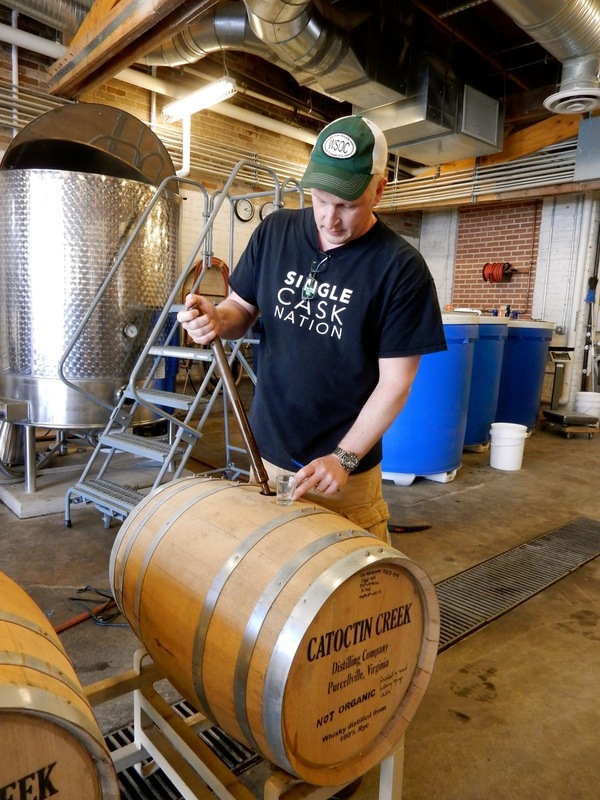 Applying their brainpower towards distilling incredibly good small batch whisky, gin and brandy, Catoctin Creek has risen in stature in the industry and now distributes to ten states (with New York City its 2nd largest market) and overseas. 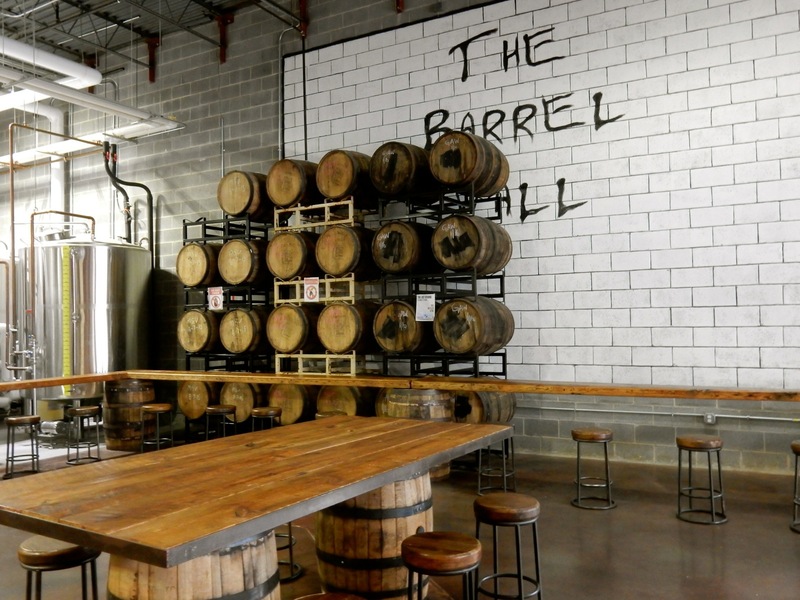 But those who visit Purcellville VA are lucky – you can taste some of the best spirits nearly straight from the barrel in a beautifully repurposed 1921 garage. Original interior windows allow a view into the whole operation. Flights of three: $5 straight, $10 cocktails, $10 Whiskey, $10 Brandy. Open Tues-Sun. Check website for hours. 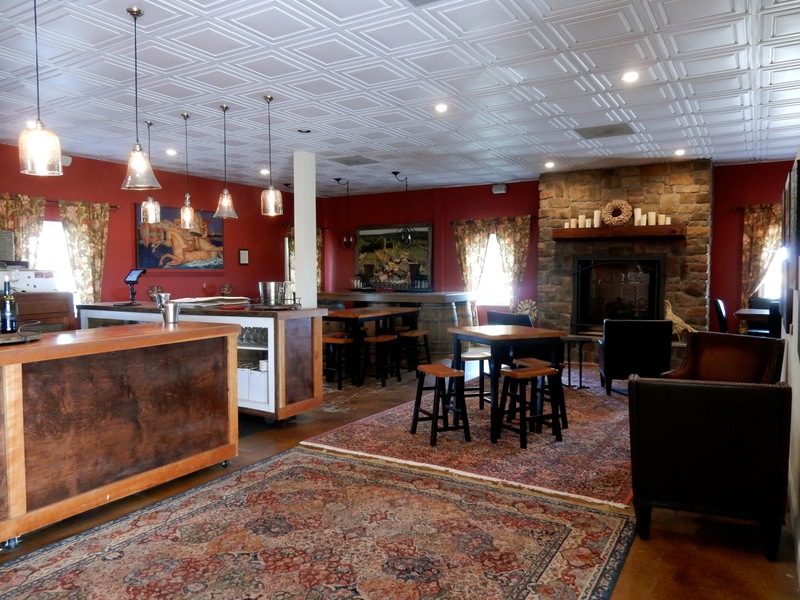 VISIT/TASTE: Adroit Theory Brewery, Purcellville. Adroit doesn’t make standard brews, “we make concept beer,” says owner, Mark Osborne, and to that end, each one-keg batch lasts as long as it lasts. “When it sells out, it goes away.” Fans of this nano-brewery – motto “Consume Life, Drink Art” – don’t bank on the familiar. Those who arrive at this edgy garage space must possess a sense of adventure and a hankering for the “esoteric”. On tap when I got there – a dark whiskey-barrel aged beer that could have passed for bourbon, and “Virginia Ham,” which I just. Couldn’t. So far Osborne and the rest of the Adroit Theory crew have concocted over 400 different beers, averaging about 8 a week. “Maybe you’re not supposed to put lemon zest in beer but we like it,” Osborne says. “We make a never-ending series of brews. Made one with lavender once. It was not a hit.” Open Thursdays from 4-8pm, Friday and Saturday from 12-8pm, and Sunday from 12-6pm. VISIT/TASTE: 8 Chains North Winery, Waterford. While in grad school (MA, Education), Ben Renshaw bartended to pay tuition, which led to a love of wine. Hired as a General Manager of a vineyard, Renshaw discovered that he enjoyed “the production end of things,” and that he feels best out in the vineyards communing with the vines and grapes. 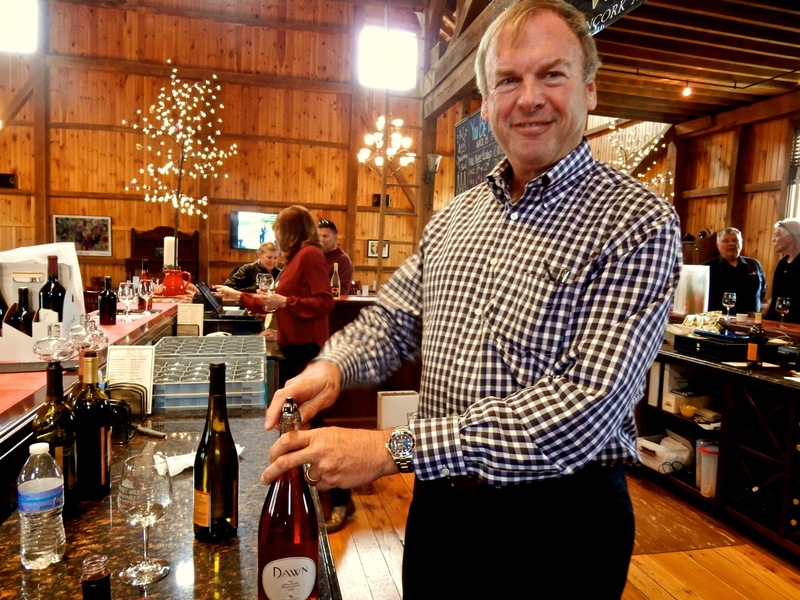 Recognized for his talents, Renshaw was tapped by local winemakers to install vineyards all over Northern Virginia, opening his own 8 Chains North in 2010. He plants Viognier, Chard, Merlot, Malbac, Petit Verdot and Cab Franc, and ships in others. The Loco Vino, a blend of two white grapes aged in stainless steel, is as crisp and snappy as you’d want on a hot summer’s day. The Merlot, light and slightly fruity, is perfect with pasta marinara. Both were good. But, had more been available, I’d have purchased a few bottles of the Furnace Mountain Red Reserve Blend (Furnace Mountain is located on his sister, Avis’s, farm. Avis owns the iconic Mom’s Apple Pie Bakery in Leesburg and Occoquan VA). Aged 22 months in barrel, it’s a lip-smacking, flavorful, full-body amalgam of Merlot, Malbec and Petit Verdot. Open Thurs-Mon. Check website for hours. 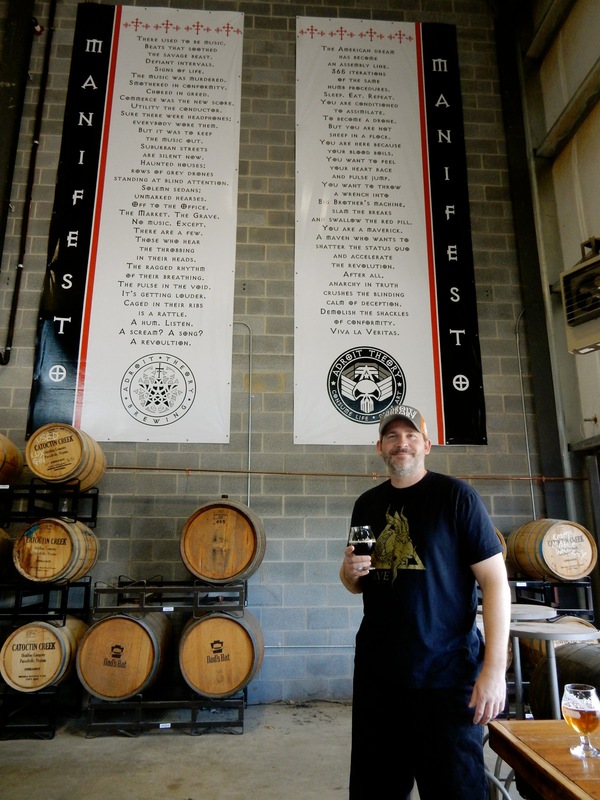 VISIT/TASTE: Ocelot Brewing Co., Dulles. We’ve already established that beer and rock and roll are great companions (see Brewery Ommegang), but Adrien Widman, owner of Ocelot Brewing, takes this to a whole other level. Formerly a Network Engineer (of course), Widman transitioned from home brewer to microbrewer, bringing his beer/music business model to fruition. Ocelot’s logo is a guitar pick, his “Barrel Wall” is a replica of Pink Floyd’s The Wall album cover, the mural at the top of the second floor landing is a copy of Led Zeplin’s Stairway to Heaven figure, and all beers are named from song lyrics. But it’s not just about the music here. Regulars are big soccer fans, as evidenced by a huge flat screen tv over the bar tuned into the latest match. Recently, the starting goalkeeper for DC’s Screaming Eagles was guest bartender for a Charity Event, bringing in a bunch of screaming Screaming Eagles fans. Now, that’s music of a whole different sort. Open Mon-Fri. 1pm-10pm, Sat 11am-10pm, Sun 11-6. BIKE: Old Dominion Rail Trail. It’s 45 miles from outside of Arlington VA to Purcellville, ending at the very good Magnolia’s At the Mill Restaurant. In Loudoun County, the OD is known as the Bikeable Brews Trail, along which you can stop at Old Ox and Lost Rhino Breweries among others. 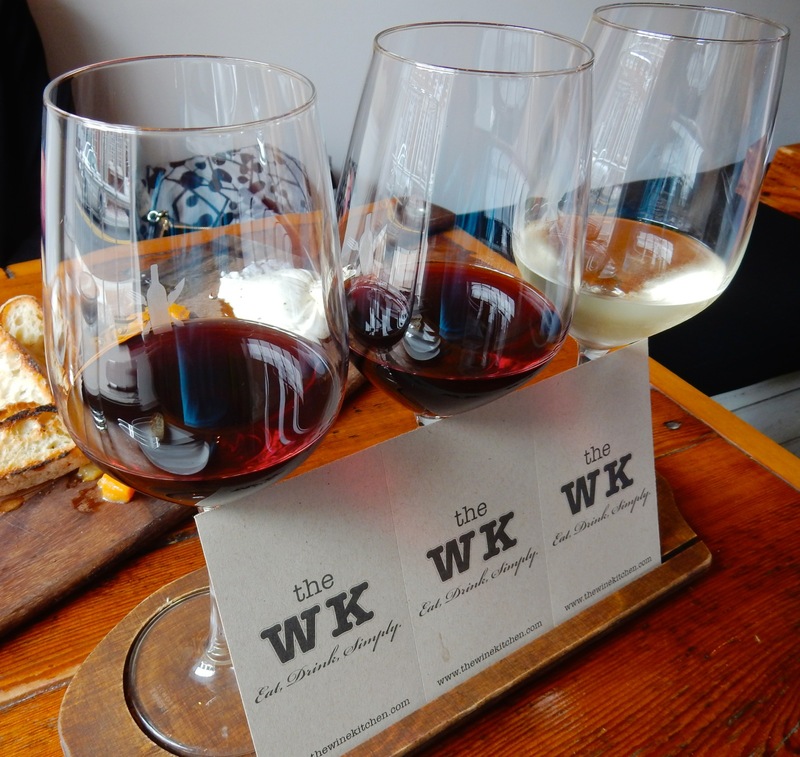 EAT/LEESBURG: The Wine Kitchen, Leesburg. First and foremost, there’s the wine – local and labeled with florid tasting notes (three 3 oz pours for $10). But the food, inventive tweaks on Southern (Shrimp and Grits $14, Duck Confit Pot Pie $18, WK Reuben $14), is a close second reason to have a meal in this adorable spot. Farmers bearing fresh-picked produce walk right through the front door, and in a few minutes, said produce might be cleaned, chopped and appear on your plate. Chef Tim Rawley moved to Leesburg to be closer to the vineyards, and this passion for locally sourced wines and ingredients shows. “Eat-Drink-Simply,” indeed. EAT/LEESBURG: Besides Wine Kitchen, locals love Shoes Cup and Cork, a coffee spot in a former shoe store, Blue Ridge Grill for Virginia fare, and Lightfoot – fine dining in a renovated bank building. EAT: Monk’s BBQ, Purcellville. 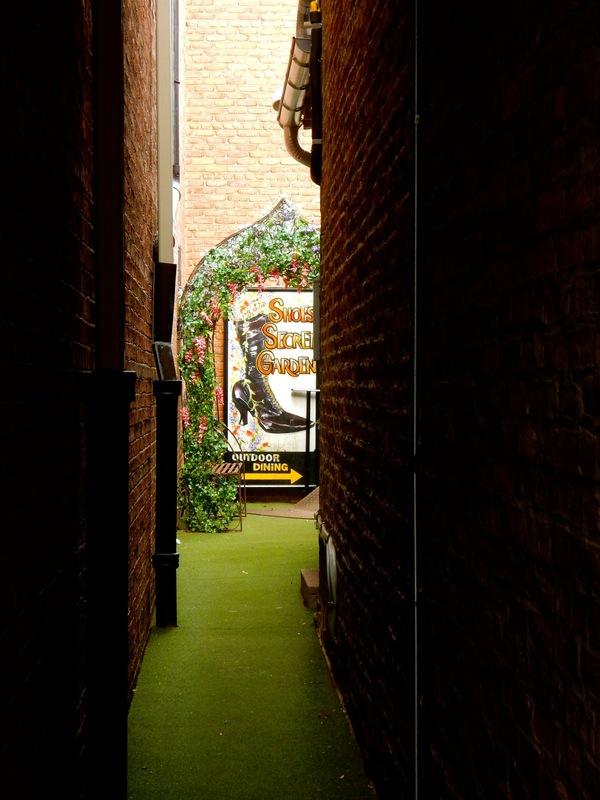 You’ll smell Monk’s before you see it –in a space tucked beneath an HVAC retailer. Stacked cords of wood, a huge barrel smoker, and that unmistakable scent of mesquite. 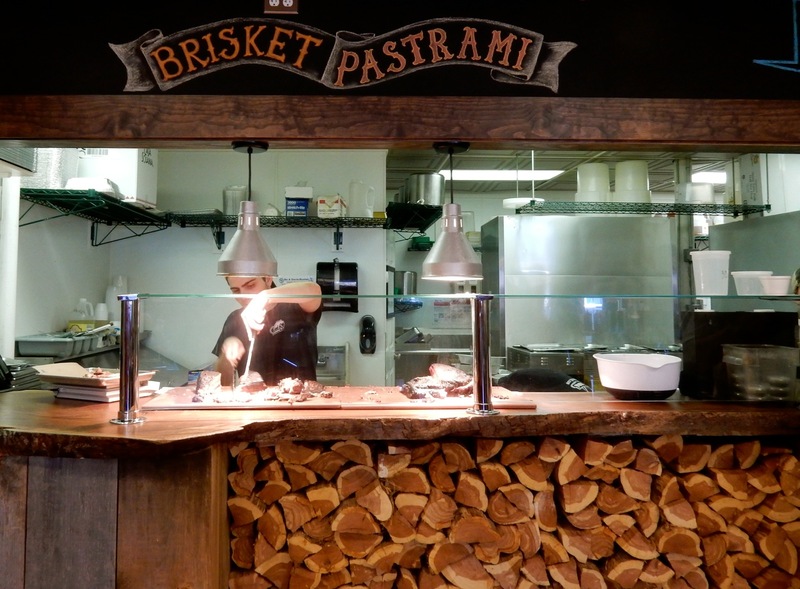 Monk’s excels in brisket ($11.99) and pastrami ($11.99), but the pulled pork and pulled chicken ain’t bad, either, especially with house-made sauces that incorporate beers brewed at local breweries, and a custard-cornbread ($1) you won’t find anywhere else. 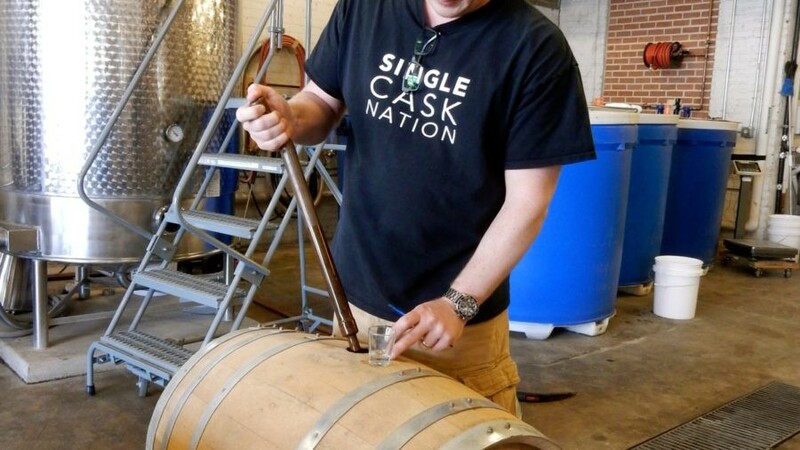 In fact, brewers, distillers and BBQ joints in Loudoun County collaborate all the time. You’ll see micro-brewers hanging out at Monk’s bar, which comes alive every Wednesday for “Whiskey Wednesday” – the perfect way to celebrate the end of Hump Day. STAY: Lansdowne Resort. A Maven Favorite – find a full-page extensive write-up HERE. 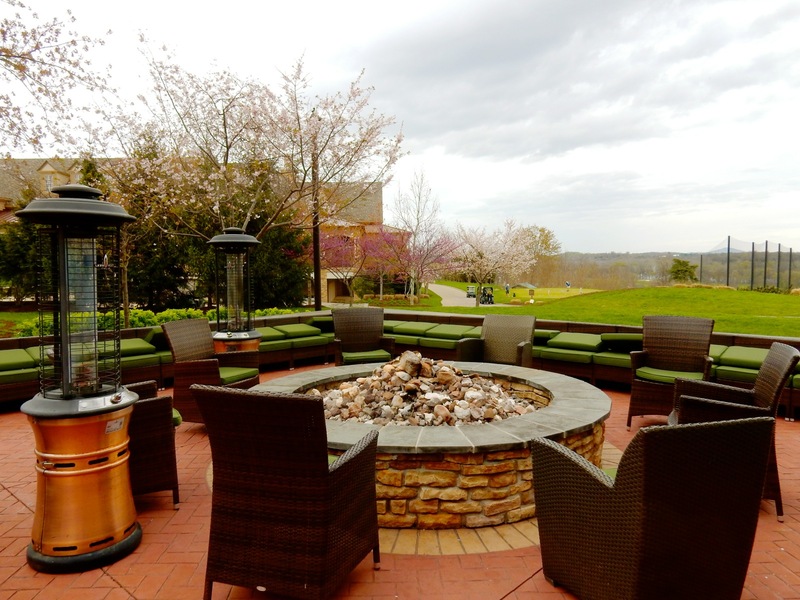 STAY: Other lodging of note – the Goodstone Inn and Salamander Resort – both upscale for boomers seeking the some of the best accommodations in this region.